Something is always happening in the district, just ask Robin Spronk who happened to be shopping at one of the stores in Sunrise MarketPlace and ended up being an actress in the SMP Promotional Video. When one of our actors could not make it to the shoot, Robin jumped right in and did what she came to do… shop in the District. The only difference was a camera following her around as she wandered through the store looking for that perfect item. 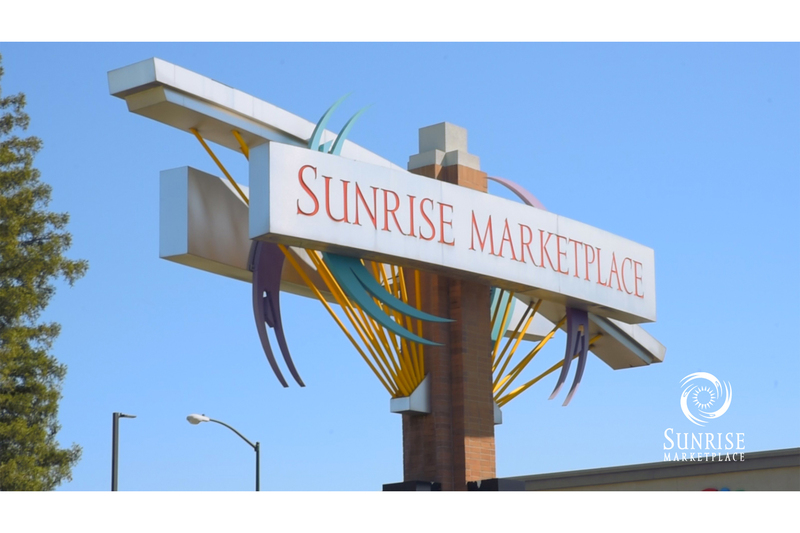 The Sunrise MarketPlace promo video shoot was filled with fun surprises and amazing opportunities to some of the best workers and customers in the district. The crew ran from center to center, taking a shot here or getting the right image over there. The SMP Video featured regular customers that love to shop here in the district. Lowes: From plumbing to lumber, Lowes has what you need for all of your Home Improvement plans. You can do it yourself or ask a Lowes consultant to help you plan and create the home of your dreams. Featuring Tyler McDanniel. Pier 1 Imports: You can get everything from the practical to the most whimsical to help you decorate your living space. Featuring Robin Spronk. The Sanctuary Salon and Spa: A Full-Service beauty salon. Here is where you will find your special hairdresser, you know, the one you rave about but want to also keep for yourself. Featuring Kristen Klemin and Vicki Huynh. Special guest appearances by Stacey Pinoski and Katy Cutlip. Oxford Street: Are you looking for that perfect fedora, some snazzy dress shoes? How about tuxedo styles that no one else carries? This place has it! Featuring Conrad Money. A special thanks to the store employees that helped us out during our production: Kaitlynn Eagleson, Zach Drollinger, Casey Chao, Jose Lopez, Michael Brouhns, Tom Heringer and Roger Mitchell.